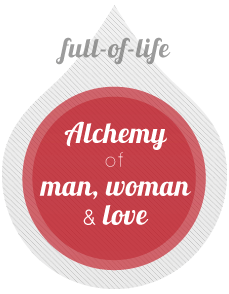 What is Alchemy of love - as a couple? Evaluating and accepting where you stand as a couple. What is there between us and what is not? The next natural step in our relationship. Selfcultivation as a woman and as a man. Focus on love, honor what is, "first things first". Many couples have gone through the lessons and inspiring teachings of Katrien and Dirk and discovered a new power in their relationship. Sometimes this is still unknown territory. Sometimes it is so close and you gave it all the time no notice. And sometimes it makes it clear that the relationship is just over.